In many jurisdictions today, life imprisonment is the most severe penalty that can be imposed. Despite this, it is a relatively under-researched form of punishment and no meaningful attempt has been made to understand its full human rights implications. 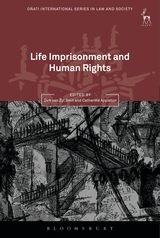 This important collection fills that gap by addressing these two key questions: what is life imprisonment and what human rights are relevant to it? These questions are explored from the perspective of a range of jurisdictions, in essays that draw on both empirical and doctrinal research. 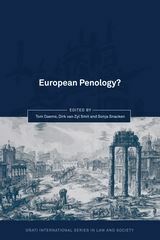 Under the editorship of two leading scholars in the field, this innovative and important work will be a landmark publication in the field of penal studies and human rights. 5. A New Form of Life Imprisonment for India? Dirk van Zyl Smit is Professor of Comparative and International Penal Law at the University of Nottingham. Catherine Appleton is Senior Research Fellow in Law at the University of Nottingham.